Dublin was deserted at 7 a.m. on Saturday except for a pair of die-hard Friday-night clubbers kissing in the doorway of the antique shop at the corner of Pleasant Street. Three purposeful seagulls flew along the curving line of Camden Street, then took a sharp right along Montague Lane. 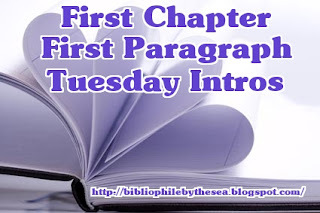 Gray clouds were banked above the rooftops but the heavy rain had thinned out to a fine drizzle, and a slant of weak sunshine cut through the gloom and lit a shining path along the drenched pavement ahead of Laura. She stepped into it, luxuriating in the faint prickle of heat on the back of her neck. Tall and slight and graceful, with a yoga body and black hair with glints of silver shot through it. She looks like a woman from a W. B. Yeats' poem, beautiful and sad. 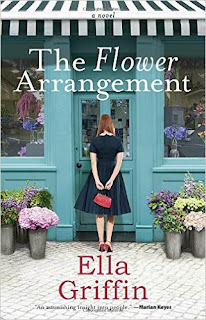 This sweet novel set in Ireland focuses on Laura who turned to running a flower shop, Blossom & Grow, after her baby died.She throws herself into making people happy through flowers. She finally decides she is ready to try for a baby again, when she learns her husband is no longer committed to the relationship. Laura is supported by her brother and a cast of characters whose stories interweave with her own as they find love and disappointment. It reminds me a bit of Love Actually, except it isn't Christmas and it isn't London. 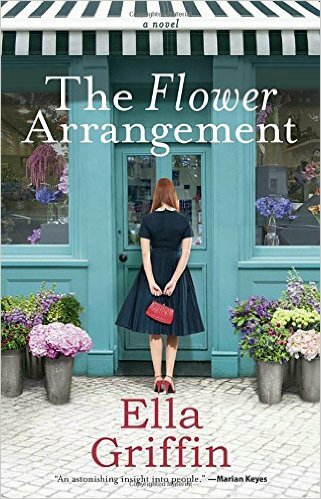 The descriptions of the glorious flowers and the insight into the depth of each character really transported me. I liked it a lot. 4.5 stars. 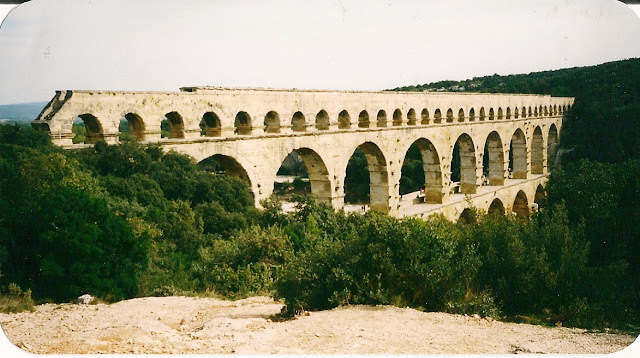 I'll keep it brief tonight as turmoil still reigns in my heart, but that doesn't prevent me from dreaming of France. On the first trip that Earl and I took together to France, we stayed overnight in Chamonix in the French Alps. 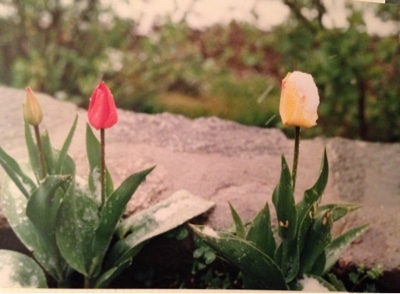 When we woke up the next morning, it had snowed and these tulips had snowflakes clinging to them. So, I have hope that spring will come and that things will improve. How bout you? Are you dreaming of France? Thanks for playing along and please visit the blogs of others who join in too. Am I alone in feeling this turmoil? 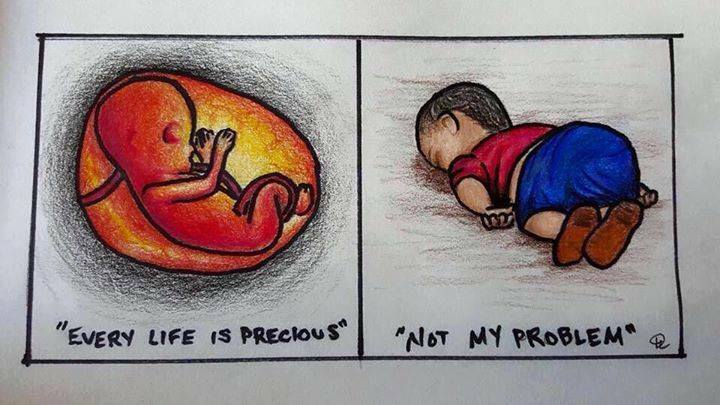 The unease bubbles up in my stomach, leaving me slightly nauseated as I hear the stories about the "Muslim ban" on people from specific countries. During each class I teach, I look students in the eye who come from those countries, especially Somalia because Columbus has become a haven for Somali refugees. They are no different from my own children -- fighting with their parents, working to buy cars, waiting to write their essays until the last minute. The new president signed an executive order yesterday that bans all refugees for 120 days and Syrian refugees indefinitely. "Additionally, it bans the citizens of seven countries—Iraq, Iran, Syria, Somalia, Sudan, Libya, and Yemen—from entering the U.S. on any visa category. This appears to include those individuals who are permanent residents of the U.S. (green-card holders) who may have been traveling overseas to visit family or for work..." according to an article in the Atlantic. How many people are in danger because they have been denied entry to a flight, after years of vetting and finally approval to move to the United States. The irony of this order coming the day after the "life" march in Washington, D.C. We see once again that only the right kinds of life matter to some people. This urge to do something to make a difference nibbles at my consciousness. Should I go to the airport to protest? Should I twist my scarf into a hijab over my head in solidarity. I understand the idea now that older women can lead the way. We have raised our children. We have kept them safe within a bubble. Maybe it is time to step out of that bubble now, to take risks. 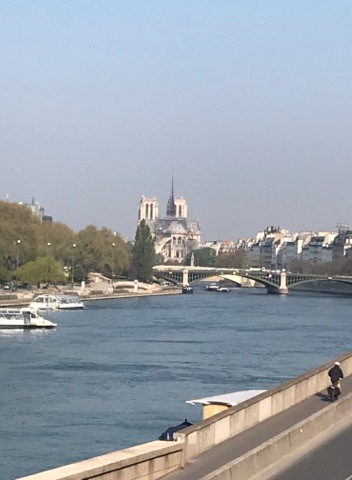 I wonder how I can contemplate moving to France to teach English while my husband and I drink wine and break bread, while in other countries, less fortunate people, fear bullets and bombs. They shrink from a sound at their door that might mean Boku Haram is coming to steal their daughters. How can we sit by? I contemplate going to Mass this morning, wondering if the priests will address this new un-Christian move by our president, being comforted at the proximity of people who mourn the direction our country is going. I picture throwing myself into prayer, but the relief would only be for me, not for the people left behind. Another part of me wants to gather my computer and tromp to the nearest coffee shop where I can pour my overwrought emotions into the characters in my novel. Maybe they can make a difference that I cannot. I walked this morning, which makes it harder to outrun my thoughts. But when I woke up today, a blood vessel had burst in my eye. I chose not to go for a run worried that excessive exercise might exacerbate the redness streaking through the whites of my eyeball. And the stories from NPR pouring into my ear only urged me to take some action. This song from the Women's March, #icantkeepquiet helps remind me that I'm not alone though. 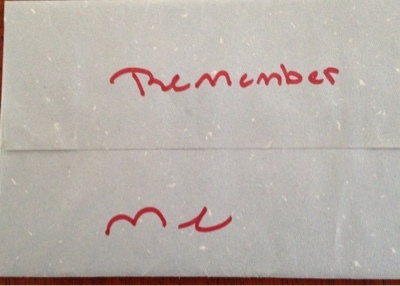 For nearly 13 years now, I've been holding onto a letter that Grace wrote to herself. I can't remember if the letter was my idea or if she'd heard it from one of her friends. The goal was that she not become one of those strong girls who goes through middle school and becomes a people pleaser, boy crazy girl who puts aside her own interests and activities. I imagined that she would passionately describe the joy of swinging her lanky legs over the back of a horse, the bliss of leading it by the leather reins tight in her gloved-hands and the sheer elation she felt as she became weightless when the horse leaped over a fence or water-filled ditch before the jolt of landing on the hard ground again. Her true bliss, curling up on the floor with our droopy-eared dog or sleeping with the weight of our black cat on the bed, surely would find its way into her letter. She would run her hand over their backs, telling them secrets. And I thought for sure that she'd write about how powerful she felt in the swimming pool as she moved her arms like an endless paddlewheel, stroking and kicking her way through the water to pop her head up at the wall. And maybe she'd remind herself how much she loved languages, memorizing each symbol of Egyptian hieroglyphs and wearing out a book on Cherokee symbols. Each language felt like a challenge that she needed to conquer, which perhaps led her to dive into opera and efforts to understand German, French and Italian. It might have been around 12 that she discovered the mysteries of genetics. She'd spend time diagramming how the different genetic material might result in a left-handed child or a blue-eyed child. If nothing else, I figured she'd write about her obsession with Harry Potter books, the endless roleplay she and her friends acted out in our backyard. 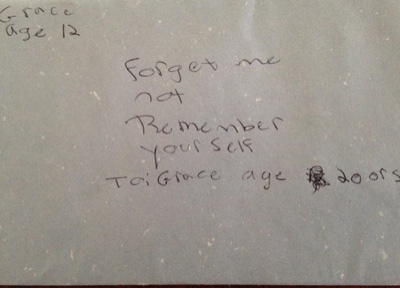 So Grace took some stationery and diligently wrote in her 12-year-old handwriting. Then she handed it over to me. I didn't have a specific place that I stashed it, but occasionally, when I cleaned off my bedside table, I'd find it there amongst my journals. Yesterday, Grace turned 25, and I figured it was time for her to confront her 12-year-old self, to see if she'd lived up to her expectations. It was a busy day for her. After working from 9-5, she rushed to the theater where a new play, The Lion in Winter, was opening. 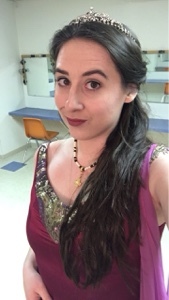 She plays Princess Alais, the mistress of King Henry II. I hoped that we could all gather after the play for cake, presents and the opening of the letter. A sophisticated bar downtown with great windows overlooking the city might be a good place to gather, I decided. But as the play ended at 10:30, suddenly everyone was too tired to contemplate going out. We instead stumbled back to our house where we set out the chocolate bombe from Pistacia Vera, a lovely chocolate mousse cake, and we liberated a bottle of red wine from the basement stash. Grace's boyfriend Jack was there, along with her friends Dave and Taryn. Plus Spencer was home, busy studying for his insurance exam. I handed her the letter first thing and she slit the envelope open. "It's just a list of who my friends are," she said as her eyes slid over the paper. "It has our address and says that Rosie (the dog) and Buddy (the cat) are alive." Grace gave a laugh, "And it says Elizabeth was my friend until November but she isn't my friend anymore." We speculated on what might have happened between Grace and her friend Elizabeth. I admitted to being disappointed. "I thought it would focus on all of your passions." "Instead, I was just a 12-year-old gossip girl," she said. Another mystery solved, but without a satisfactory ending. 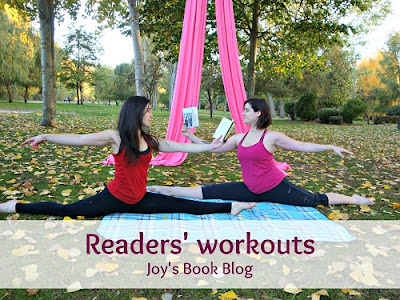 If it was a novel, I'm not sure which I'd have preferred, to learn that she had remembered all of her passions, tackling them with strength and vigor, or for her to be disappointed that she hadn't met her expectations. Then, as a character in a novel, she'd have to set out to become someone that 12-year-old could be proud of. No matter what she wrote in that letter, I think she'd be pretty proud of the 25-year-old she has become. If you were going to move to a new country, how would you choose where to live? My husband and I have narrowed it down to a specific region of France. 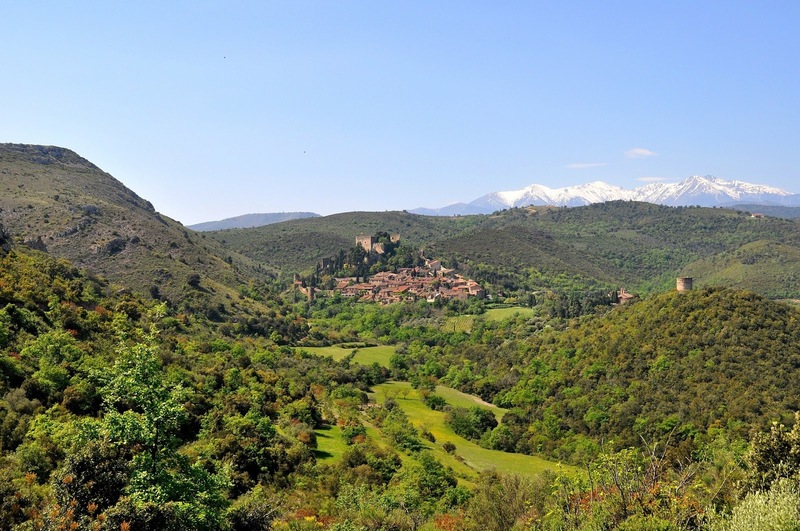 We chose it for the climate and the home prices, but how do we choose a town or a village? We'd like to live in a charming village that has a market each week, and we'd prefer a town with a bakery and a few restaurants. As we look at the map, there seem to be endless villages to choose from. Its Saturday market includes artisanale food, flowers, and clothes, according to golanguedoc.com. But the market gets crowded in the summer, according to the website. It might be too touristy for us, since an article on creme-de-languedoc.com says it has arts and crafts shops, restaurants and antique shops. That might be a terrific place to visit, but too we want to live in a village that is overrun with tourists throughout the summer? We've done that before when we lived in Florida, but, of course, the tourists and older people came in the winter for the warm weather. 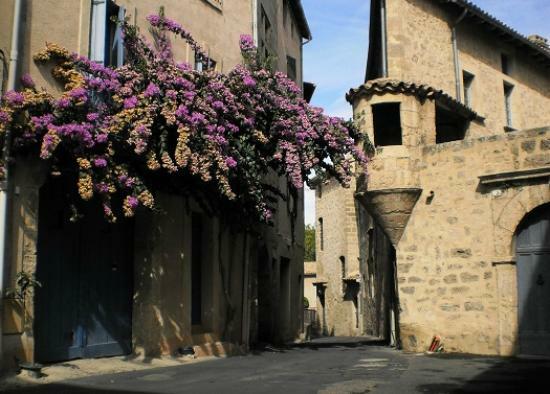 We definitely plan to visit Pezenas in May when we travel to France. This is another town that made the list of charming and best markets, but the article begins by saying it isn't easy to get to. That might discourage tourists, but it might also block us in more than we want. I think I might like to nestled against the mountains like this. This village has a market on Tuesdays and Fridays and is known for its wines, according to golanguedoc.com. A river runs along the town too, providing for some water activities like canoeing. 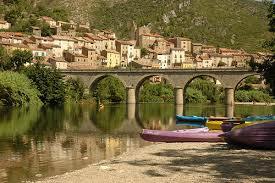 The final village that makes both articles is the medieval town of Olarques. Apparently, it has a market on Sundays that features food, including cheeses and wild boar pate. 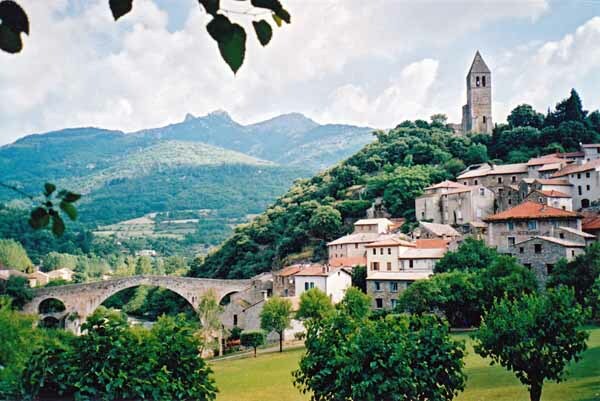 Plus, Olargues even makes the list of 151 most beautiful villages in France. I'm interested to explore all of these places, plus so many more, and I hope that it just feels right when we find it. How bout you? How would you narrow down where to live if it didn't depend on a job? What criteria would you choose? This week she's blogging about goals. I'm not great about setting goals for the new year. I have decided I'd like to easily be able to run 10 miles on the weekend, like I used to with my friends. But I haven't actually done anything to make that happen. 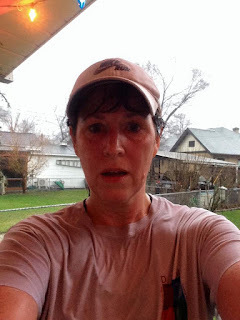 from another winter run in the rain. I've had some long runs in the new year, including a 7-mile run last week, but my body is still adjusting to a new way of eating. I haven't eaten meat since Christmas Eve. I didn't give it up for any noble cause, only because I felt so sick for days after. It started a few weeks before Christmas. I did a 6-day juice cleanse, drinking only fruit and vegetable juice. Then when I started eating again, I noticed that meat upset my stomach. I tried to avoid meat, but as I visited family or went out, it seemed like meat was always served. On Christmas Eve, I made mozzarella-stuffed meatballs. I only ate one, but my intestines felt swollen and inflamed. So I haven't eaten any meat since. Even the smell of it cooking can make me feel sick. I never would have predicted I could give up meat. I have loved it forever -- a nice juicy cheeseburger, marinated chicken on the grill, pulled pork sandwiches. But the memory of how sick I felt for several days prevents me from being tempted. I've eaten some fish, but notice that I feel very full after that too, so I'm sticking with mostly fruits and vegetables. Still, I find myself eating too much bread so that I'll feel full. Anyway, as I'm figuring out how to eat without feeling sick, there are some days when I have walked rather than run, and I just need to be satisfied with that. 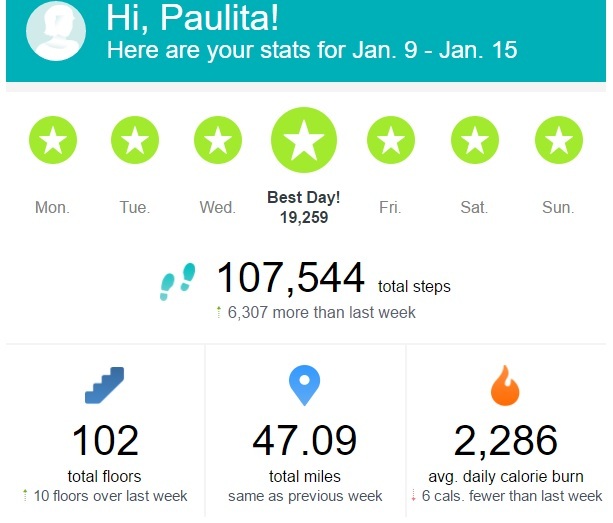 On the positive side, I have successfully reached my step goal on my Fitbit every day this year, even with some days of bad weather. 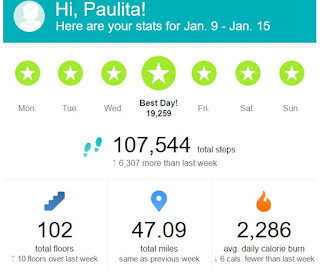 I wonder if I can reach 10,000 steps every day of the year. That might be a good goal. Hope everyone else is enjoying an active January. 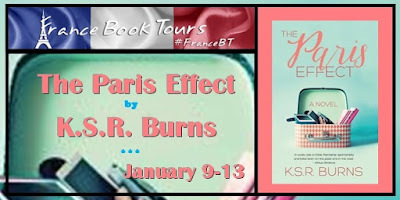 There's something exhilarating about the purchase of the airline tickets to France and the confirmation of hotel reservations. 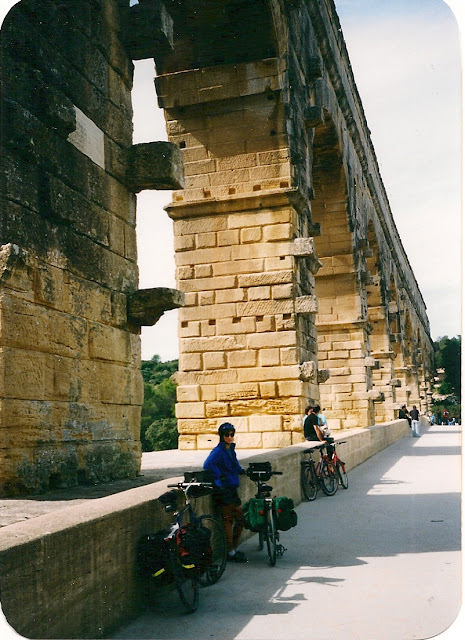 It puts a zip in my step as I imagine that day in May when I'll be learning abut the southwestern region of France, the area where I hope to move during 2017. The area we are thinking about stretches along the Mediterranean, from Marseille over to the Pyrenees Mountains of Spain. 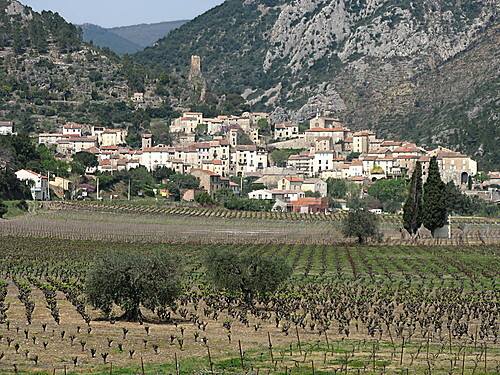 It has been called Languedoc- Roussillon, but the new name of the region is l'Occitanie. Sete is a town along the Mediterranean that really is just a spit of land between the Mediterranean and another large body of water. 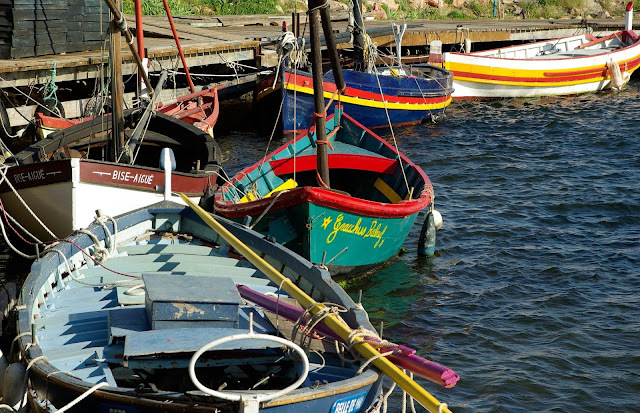 Love these colorful boats. Here's a photo of the fortifications at Beziers, another city near the Mediterranean. It looks so similar to Avignon with the pale stone fortress. 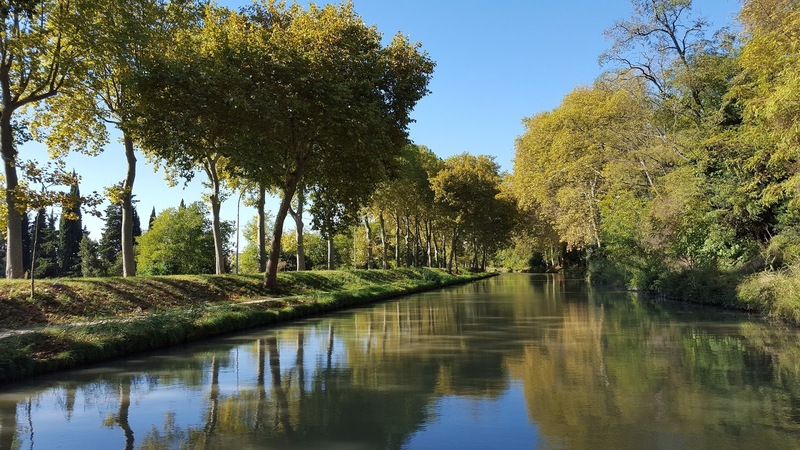 The Canal du Midi also runs through region, passing near Carcassone. I couldn't find a good photo of Carcasson, so I'll just have to take one myself when we're over there. And who knows, we might end up buying a house that has a view of the Pyrenees. It may be hard to choose between the sea and the mountains. 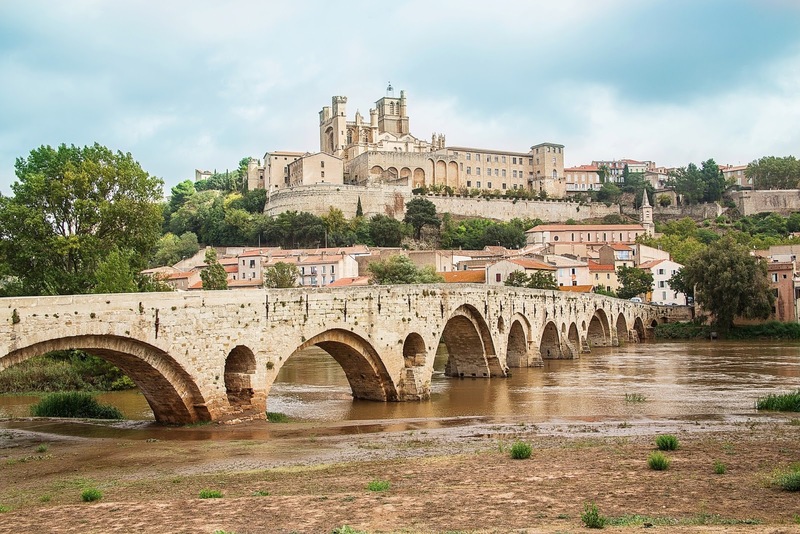 Hopefully, we'll love this region as much as we enjoy Provence, because the prices for houses in this area are much less expensive than in Provence. The photos included here come from Pixabay, which shares pictures free. 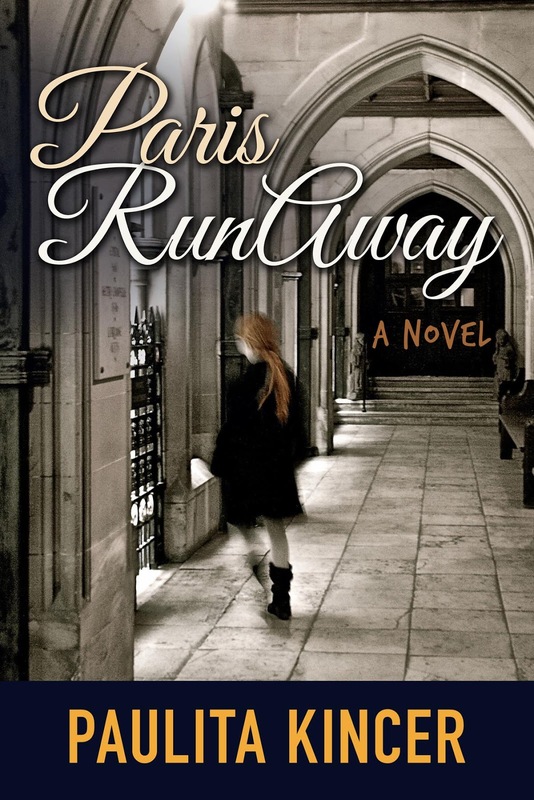 Yesterday, Kirkus Reviews Magazine notified me that a review for Paris Runaway had been "selected as a feature review." 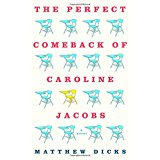 That means that way back on page 132, they include their thoughts about Paris Runaway -- which were good overall. But in addition to the entire review, they included a quote from the review at the top of the page. 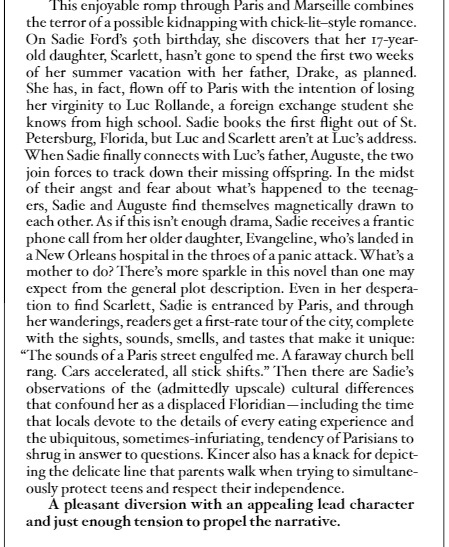 I love that they experienced Paris with Sadie and that my use of concrete language stood out. The placement of the review might be only for the dedicated who thumb through the pages to the end, but I'm grateful to be included. Here's the link for anyone who wants to visit. It's at the bottom of page 132, but here's how the review looks. Thanks to Kirkus Review and to everyone who supports my writing. 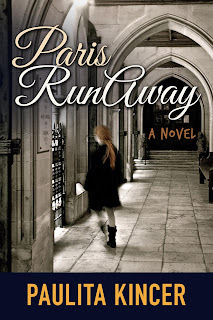 I'm grateful and hope you'll visit the page, as well as consider reading Paris Runaway. Here's the link on Amazon for paperback or Kindle version. And if you have Amazon Prime with the books, you can probably read it free. I started reading a new French memoir last week and wanted to share it with you. It's called A Bull By the Back Door by Anne Loader. 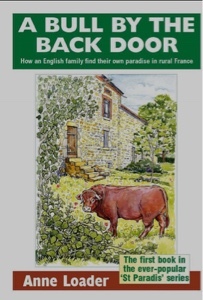 It's a British couple, with two grown sons, who decides to buy a home in the Limousin region of France. 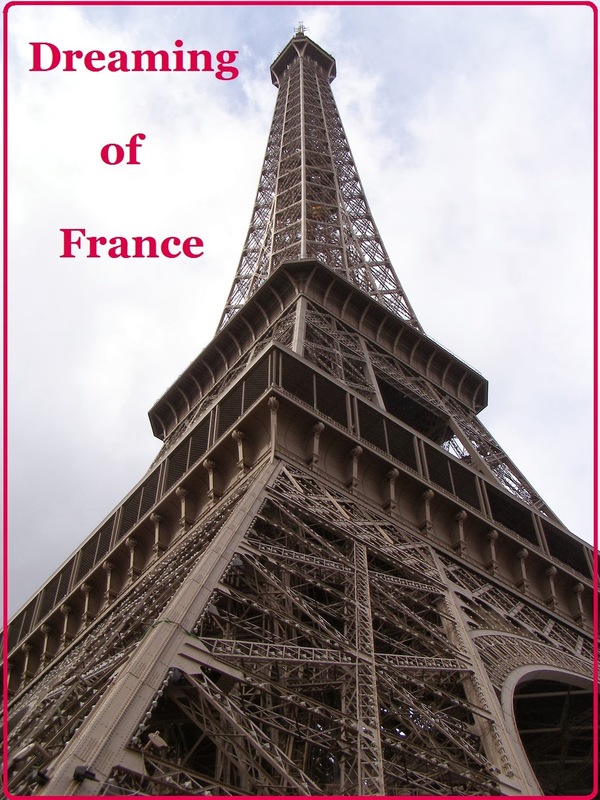 There are similarities to A Year in Provence by Peter Mayle as the couple search for a house, taking the reader along, and then buy a house that needs lots of work. The reader gets to know the French neighbors and see (in written word) the sorry state of the old stone house before Anne and her husband Jack get hold of the vines covering the facade only to find as they tear them down that the vines covered doors and windows the couple didn't know existed. It's fun to imagine the house as it is renovated. This book and renovation took place back in the 90s, so it feels a little bit old fashioned. For instance, the house has a concrete floor in the kitchen, which Anne wants to cover with carpet squares. A concrete floor would be very cutting edge today, maybe some paint or concrete color design could add to it, but I don't think anyone would be in favor of carpet squares. I haven't finished this book yet, which is apparently part of the "St Paradis" series. The book came out originally in 1997 as a paperback and is now available on Kindle. I even got it as a free download. As I rolled out of bed this morning, I expected the bitter cold, but the weather app promised me snow that wouldn't begin until around 8 or 9 a.m. I drove my husband to work around 6:30 because I thought it was too cold for him to stand and wait for the bus. It's 19 degrees (-7 C) now and feels like 14 (-10 C). As I pulled back into the garage, dressed in my running clothes, I noticed some snowflakes drifting from the sky. 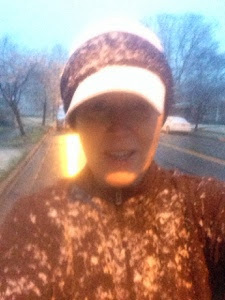 Usually, I love to run in the snow, especially snow with big fat flakes that cover my jacket, changing it from black to white. But this morning I was dismayed. I just had my hair cut and the stylist straightens it for me. I can keep it straight for about a week if I don't do one thing -- get it wet. After I saw the snow, I planned to put on a hood that would cover my hair and my neck, but sometime since I last used it (winter 2016) it has gone missing, so I braved the cold without it. This snow was not big puffy flakes, but instead prickly ice pieces that stung my cheeks and chin. I really wished I had that hood. As I ran the first half mile, I began negotiating with myself. Maybe I didn't have to go six miles. Maybe I could run three miles. I'd get through the first mile and decide. By the time I finished the first mile, I'd warmed up some, so continued my regular route. Into mile two, I noticed that my thighs were so cold that they burned. I suppose that might be a sign of frostbite, but I have figured out after years of running, that fat gets really cold. It's no secret that I carry most of my fat in my thighs and hips. They'll stay cold for an hour after the rest of my body has warmed up. I haven't figured out why fat holds the cold longer, but I assume that it's protecting the rest of my body and my internal organs, like walruses with blubber. As the burning continued, I debated who I could call to come pick me up. My friend Sheila is always available to help, but her husband just had surgery. She's already taking care of someone. My son Spencer would be asleep and not respond to the phone. My daughter might drive to pick me up, but she's preparing to drive to New Jersey after work today because her boyfriend's grandmother died. After I had gone through the possibilities, even seeing a man walk out of his front door and contemplating whether he would let me go in to warm up, the burning feeling had faded, so I continued to run. I did cut it short, ending at five miles and at a Starbucks before I walked home. The snow skittered along the roads and sidewalks in long lines, not yet enough to cover the pavement. And when I returned home, that coldness in my thighs returned, as if they were big blocks of ice. At least I've learned enough not to hop right in the shower where I'll scream from the pain of the hot water on my cold skin. And as for my hair, I've kept it in a tight ponytail braid and won't know until I take it out if the icy snow returned my curls. 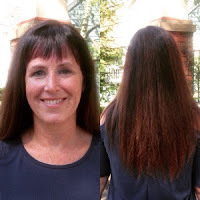 I'm hoping for a few more days of straight hair. How's your weather? Hope you have sunshine and warmth. 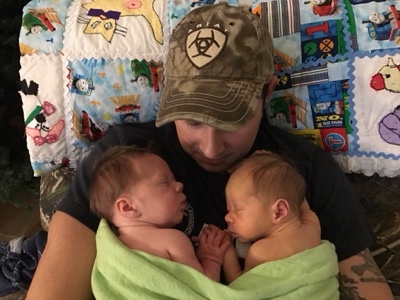 During the hectic holiday season, my nephew Michael and his wife had twin boys. Michael is in the Navy and Morgan has been in the Army Reserve, but recently had to take a leave of absence because of their daughter's medical issues. These two already have a lot on their plate before the twins arrived. Their daughter Lydia, 3, has seizures that have interrupted her development. She doesn't talk at all but she's very sweet and goes to some amazing specialists to help her accomplish as much as possible. Their daughter Lorelei, who turned 1 in August, is a pistol. And then on December 18, they had Liam and Lukas. Liam, only 4 pounds, came home just a few days after he was born, but Lukas, weighing in at 6 pounds, had some breathing issues so he stayed in the hospital until this week. That's a long time for identical twins to be separated. Apparently, the boys are glad to be back together. Here's a photo that my sister-in-law sent of the twins with their dad, my nephew. My mother made the baby quilts behind them. Hoping for healthy children and an easier life for Michael and Morgan in the months and years to come. Caroline Jacobs rose, pointed her finger at the woman seated at the center of the table reserved for the PTO president and her officers, and said it. Shouted it, in fact. In the cafeteria of Benjamin Banneker High School, surrounded by crowded bulletin boards, scuffed linoleum, and the lingering smell of chicken nuggets, Caroline Jacobs had shouted a four-letter word. The four-letter word. "Your daughter attacked another student in the biology lab this morning." "Yes," Dr. Powers said. "A classmate. Mr. Schultz said that the girls were arguing about something in the back of the classroom and then Polly began shouting. Using profanity, from what I'm told. Before Mr. Shultz could reach them to intervene, Polly had punched Miss Dinali in the face. In the nose to be exact." Interested to see where this books goes. What do you think? Today is the first day of the year that I will move to France. This year we will make our dream come true. Everything I do with the kids, with my friends, makes me think, I won't be able to do this next year. So there's a certain melancholy to it, but I imagine the adventures my husband and I want to have. I think about his recent 61st birthday and how we could push back the date to move, but how many healthy years do we have to climb mountains and dip our toes into the Mediterranean. We visited the studio of Paul Cezanne and gazed at Mont Ste. Victoire which he painted many times. I know that I may face many sentimental decisions in the coming months as we get rid of belongings, sell our house and plan to move to France, but I need to remember the reasons I'm doing it. We could get to the end of our lives and say we accumulated a lot of things and lived a safe life, or we can take some chances and have some adventures. Hopefully, the safety of a leather recliner will be waiting for us when we tire of adventures. So, don't cry for me, dear readers, wish me luck and follow along as I journey on. Oh, and pray that none of my kids decide to become parents, because I have a feeling that grandchildren would throw a wrench into all of our plans.